The emerging field of synthetic biology builds biotechnologies to meet societal challenges in areas like healthcare, energy, agriculture and the environment. By making biology easier to engineer, the field also connects to human values around science and technology. This Conversations about Synthetic Biology event will bring diverse community members together with synthetic biologists to share knowledge, hopes and concerns about synthetic biology. We’d greatly welcome your views and perspectives. 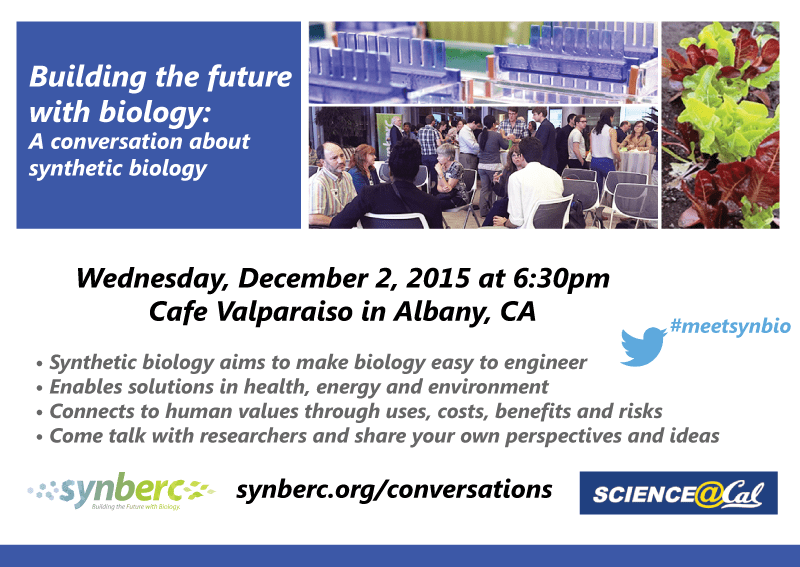 The evening will have informal time for members of the public to mingle with synthetic biologists from the Synthetic Biology Engineering Research Center (Synberc), and learn about synthetic biology through some materials from the Building With Biology project. The scientists will briefly provide their perspectives about the field and invite you to share your thoughts through informal conversation and small group discussions. We’ll also invite your ideas for how to improve and sustain this important conversation between scientists and the general public. The conversation will be moderated by Kevin Costa, Synberc Managing Director, and Shaila Kotadia, Synberc Education Outreach & Diversity Manager. 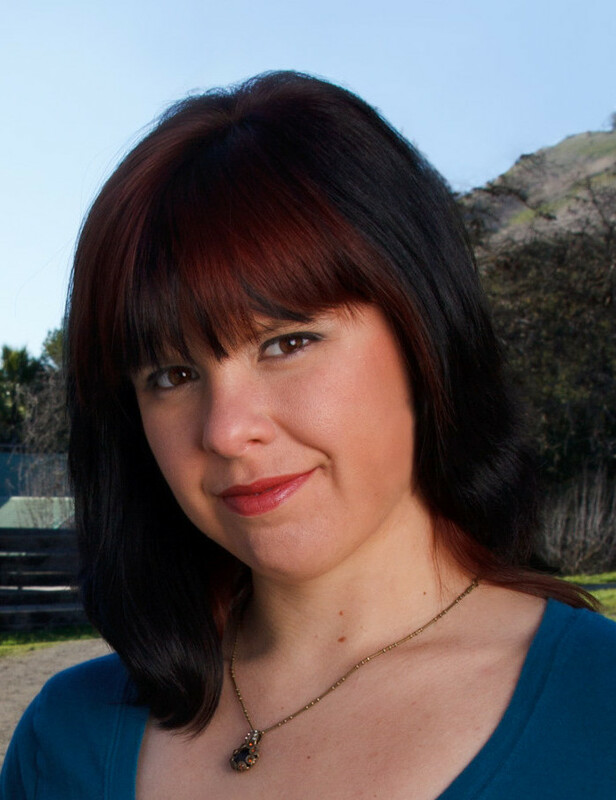 Danielle Tullman-Ercek is an assistant professor in the Department of Chemical and Biomolecular Engineering at the University of California Berkeley. Her research focuses on building protein-based devices for applications in bioenergy and drug delivery. She is particularly interested in engineering multi-protein complexes, such as the machines that transport proteins and small molecules across cellular membranes. 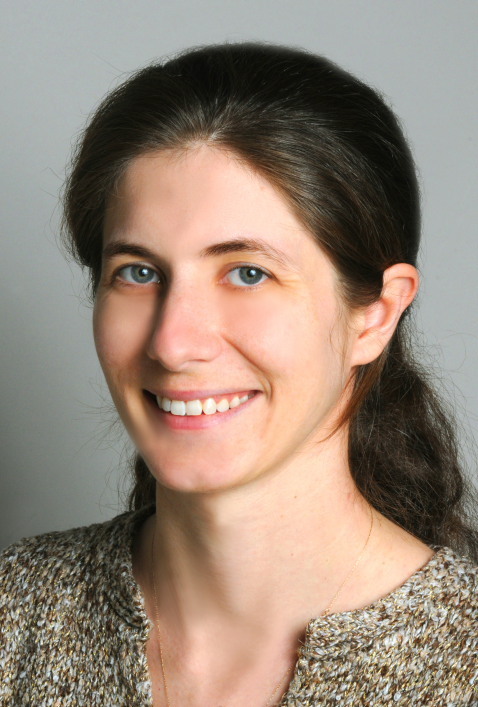 She is a member of the Berkeley Synthetic Biology Institute and the Synthetic Biology Engineering Research Center, and was received an NSF CAREER award for her work on the construction of bacterial organelles using protein membranes. Nathan J. Hillson is the Director of Synthetic Biology Informatics, Fuels Synthesis and Technologies Divisions, at the Joint BioEnergy Institute. 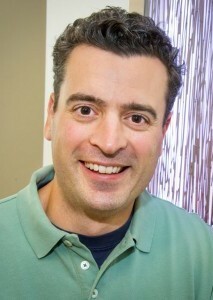 Hillson is also the Group Lead of Synthetic Biology Informatics at the Department of Energy’s Joint Genome Institute; Computational Staff Scientist, Department Head of Biodesign, and Co-Deputy Division Director in the Biological Systems and Engineering Division at Lawrence Berkeley National Laboratory; Affiliate Investigator at the Synthetic Biology Engineering Research Center (Synberc); and co-founder and Chief Scientific Officer at TeselaGen Biotechnologies. He holds a PhD in Biophysics from Harvard. « Nov 4 Cafe – CHANGE! I attended this lecture and enjoyed it very much. Is there a transcript, video, or podcast of the presentation available online?